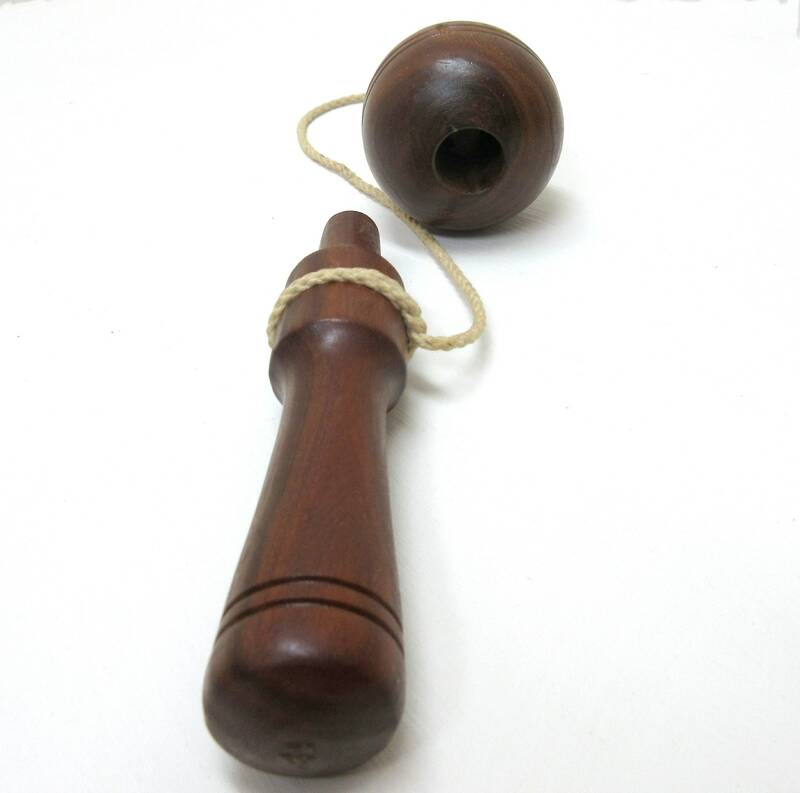 Pretty sure this is an antique French children's wooden bilboquet toy. 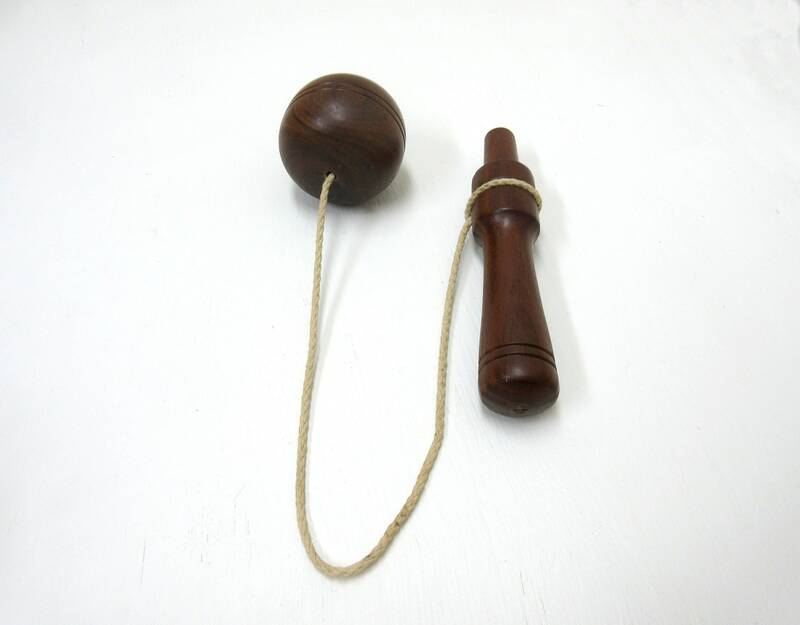 It has a wooden ball, with a hole in it, that's attached to a stick by a string. 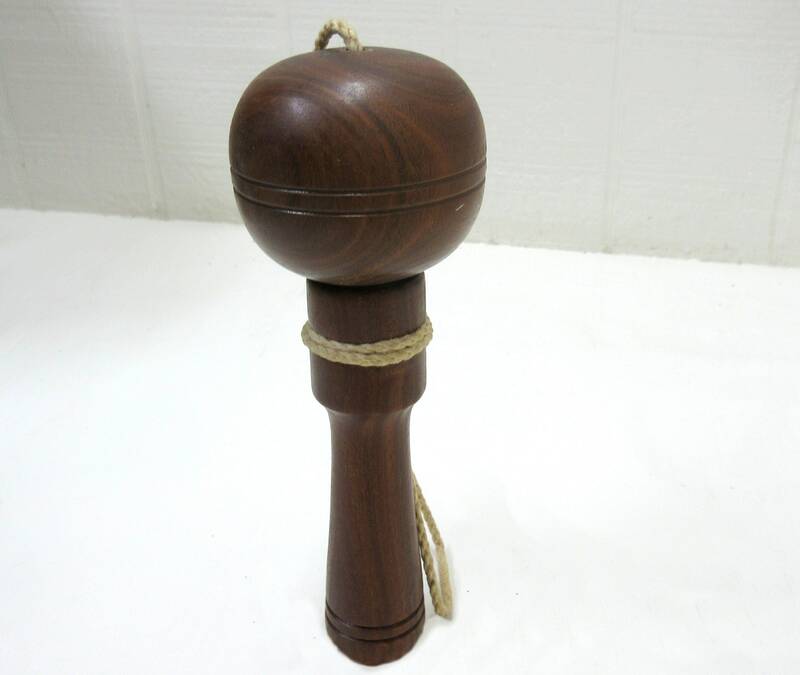 The object of the game is to try and get the ball to stick on top of the wooden spike. 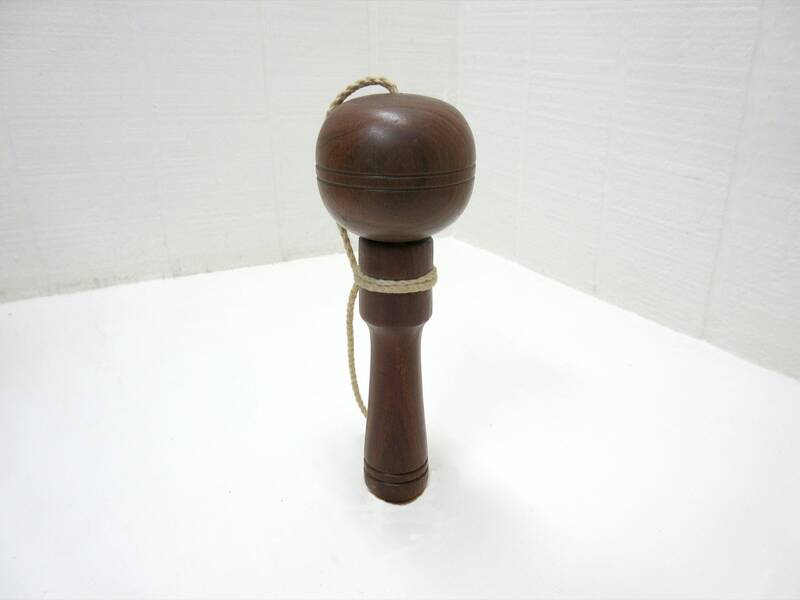 I played with this and never did get the ball to stick on the spike. 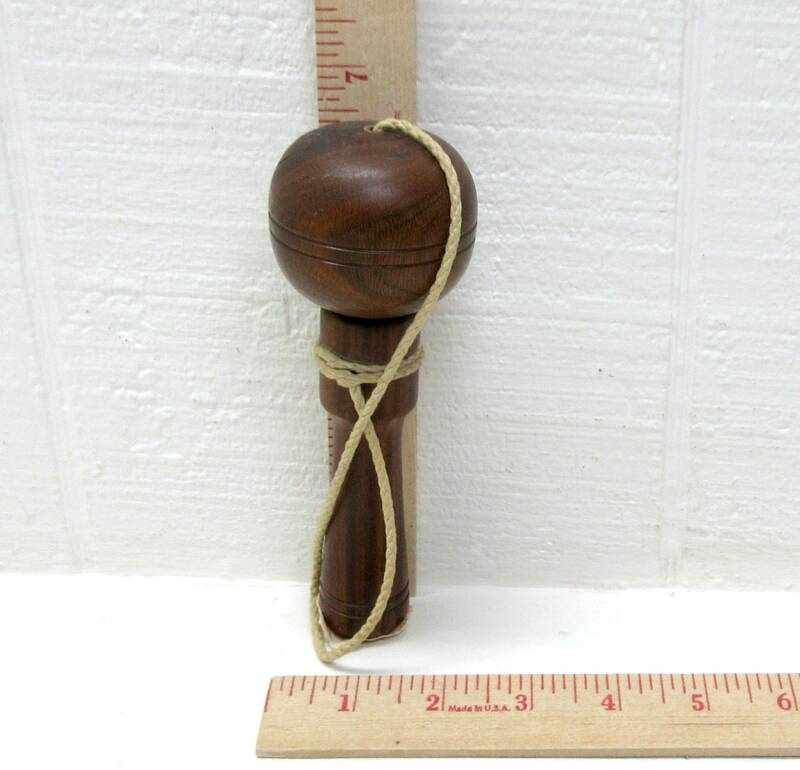 This bilboquet is about 6-1/2" tall, including ball. Ball is about 1-3/4" in diameter. 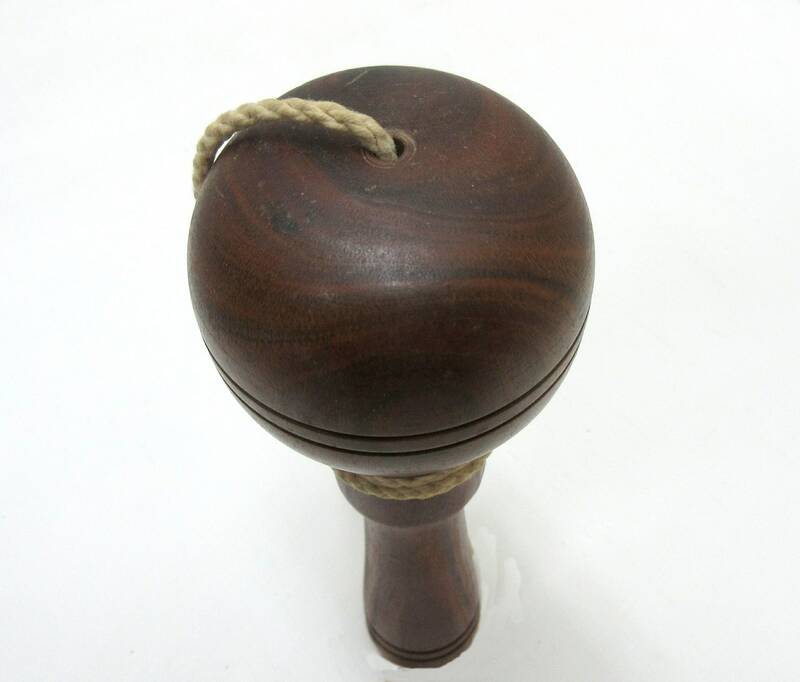 This wooden toy looks to be in good condition. Doesn't have any issuers that I can see. 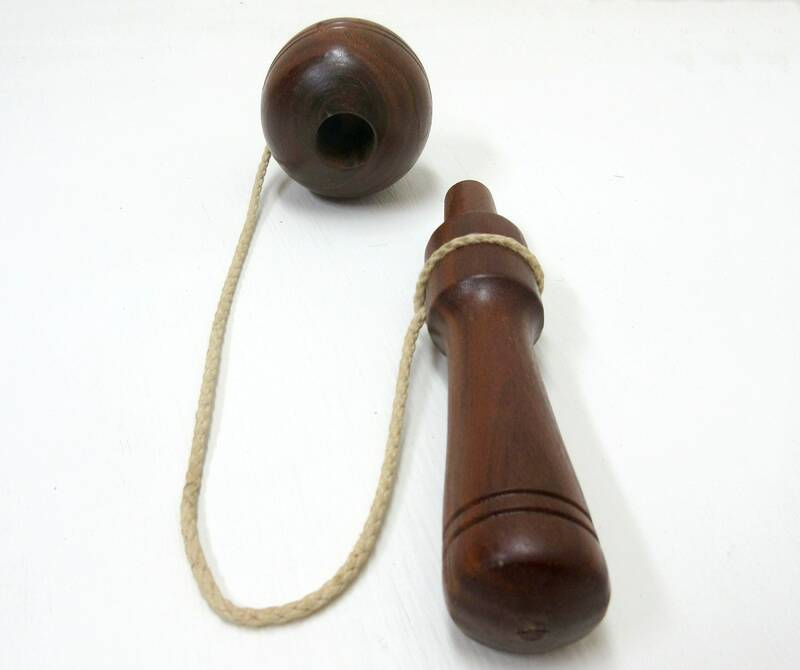 It's possible that this bilboquet is from the 1930's.